Your favorite wines will all have a fine home in this superior compact counter-top wine cooler from Danby. This model takes up minimal space but offers plenty of storage. 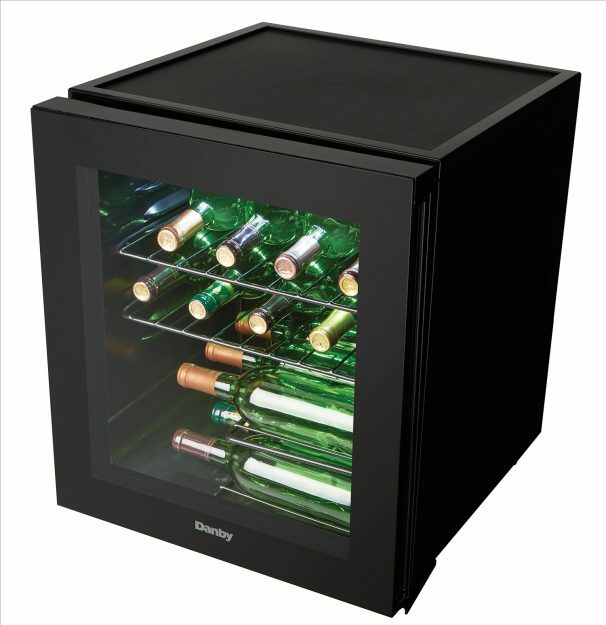 You’ll be able to chill up to 16 bottles of wine in this 51 liter foot-capacity cooler which is the perfect alternative to storing your favorite brands in the refrigerator. This classy unit is ideal for any bar, or kitchen setting and the all-black cabinet design will easily fit in with any existing room décor. 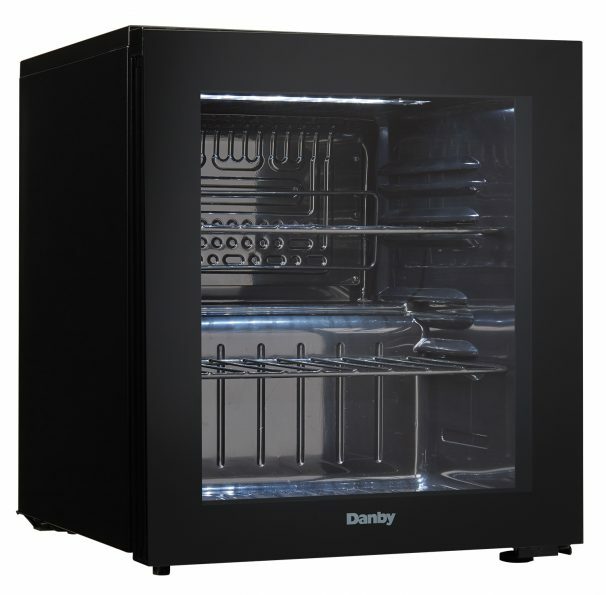 There’s additional storage space for accessories with the molded worktop and the convenient reversible door swing can be quickly and easily adjusted for opening from either the left or right-hand side. 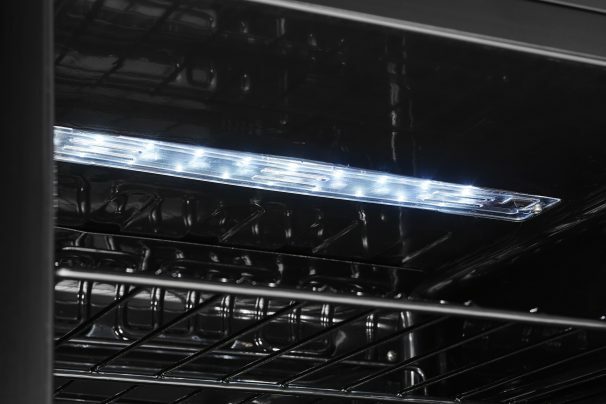 This high-class appliance features a staggered shelf as well as two vinyl-coated wire storage shelves. 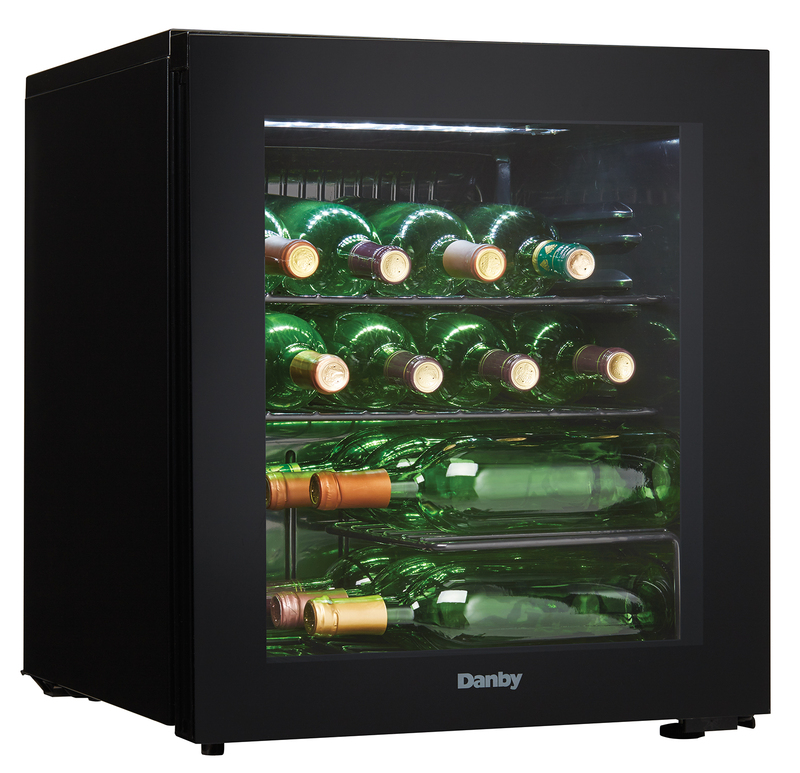 Your wines will always be at the perfect temperature as the cooler can be programmed anywhere between 6°C to 14°C (43°F to 57°F). This model also comes with a 24-month warranty on parts and labour.